The fossil fuel contributes most of the greenhouse gases emission. Most of the fossil fuels are used in the industries such as power, textile, fertilizer, etc. These industries are also the largest contributor of greenhouse gases like - carbon dioxide, Methane, nitrous oxide and Hydrochloric carbon. With the increase of such gases the ability of the atmosphere to trap infrared energy increases, thus affecting the climate. Through carbon Credit, the greenhouse gases are capped and markets are used to regulate the emissions. Many firms sell the carbon Credit among their commercial and individual customers those show interest in reducing the carbon footprint voluntarily. 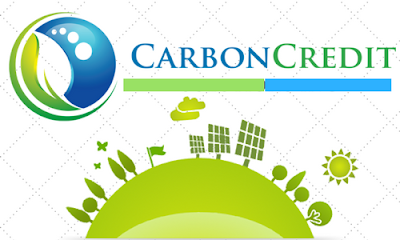 The increasing awareness towards environmental degradation give rise to a concept called carbon credit. This concept was designed in Kyoto Protocol between more than 170 Nations and adopted at par through subsequent accords. The protocol agreed some quotas or generally called ‘caps’ on the maximum release of greenhouse gases for developing and developed nations. The respective countries manage this through their own registries and the same are to be monitored by the UNFCCC for compliance. When the allowances are to be bought and sold, the most cost-effective way of reducing the emission can be sort by the operator. The Kyoto flexible mechanism states that “A credit can be an emission allowance which was originally located or auctioned by the national administrator of a cap-and- trade program or it can be an offset of emissions”. Once this carbon project has been approved by UNFCCC protocol, the units are declared as certified emission reduction or CER’s. There are three mechanisms coming under the Kyoto Protocol which allows the developed Nations to prepare greenhouse gases reduction credit. Under the joint implementation scheme, a developed country having the relatively high cost of domestic Greenhouse gas reduction will set up a project in another developed country. Under the clean development mechanism, a developed country can sponsor a Greenhouse gas production project in a developing country where the cost of greenhouse gas detection project activities is generally low, but the Global atmospheric effect must be quite equivalent. Under the international emissions trading scheme, the countries can trade in the international carbon Credit market to cover the allowances shortfall and those countries having surplus credit can sell them to acquire cap emission commitments. First, the consumers will be well versed using the goods and services that use high carbon sources, thereby increasing the firms to make the substitution to low carbon inputs. Secondly, it will make a clear signal to the producers about the inputs using more carbon sources like coal and oil and less carbon sources like natural gas and nuclear power. Thirdly, it will give more market incentives for inventors and innovators to introduce low carbon products. And fourthly, the high carbon price will organize the above factors economically through a market mechanism. The restrictions and activities imposed in the name of environment sometimes make an uneasy approach for the forms which are associated with this business. The authorisation and powers vests with United Nations Framework Council for climate change according to the Kyoto mechanism which is responsible for checking the additionality and overall mechanism, but of course the enforcement and implementation of regulations depend upon National Corporation. The concept behind the cap and trade system relies on the national quotas that are chosen to represent genuine and meaningful deductions in national output of emissions. For the production, distribution or use of fossil fuels based on Carbon combustion, a form of pollution tax in the name of the carbon tax is levied. The carbon tax is based on the economic principle of negative externalities. The purpose of this carbon tax is to lower the greenhouse gas emissions. It also encourages to use alternative energy by making it cost-effective when compared to other cheaper fuels. Energy prices are easily distinguished through text, rather than cap and trade mechanism of carbon credit. The tax system can quickly be implemented than cap-and-trade. The tax involved with carbon taxes are transparent, lucid and easy to understand as compared with Complex cap and trade method. The manipulation in carbon tax is quite difficult and hence impossible to be exploited, whereas the cap and trade mechanism is subject to exploitation of special interests. Each and every sector is addressed with carbon taxes for Carbon emission whereas cap and trade systems are targeted mainly towards the electricity industry. The carbon tax levied on the public can be returned through dividend and progressive tax-shifting, while the cap and trade systems have some hidden tax.